Emotions were running high as most of the residents of Independencia turned out for the high school graduation on December 12th. 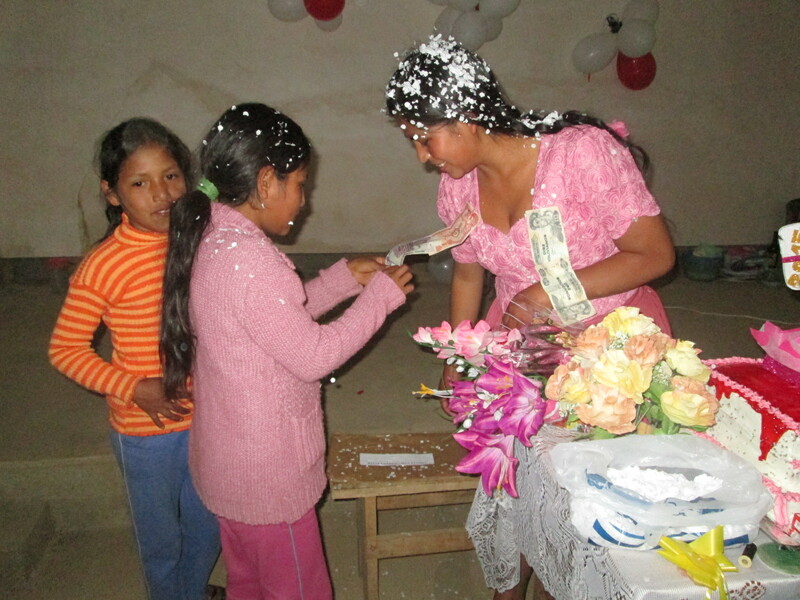 Lizeth and Gabriela, the first 2 chicas who joined the Club de Artesanas in 2010 were among the 74 graduates. Both learned to weave but didn’t pursue it. Lizeth will move to the city and figure out her future from there. Gabriela will be moving to the city to live with the father of her 3 week old son. After the ceremony each family hosted a party for their graduate. There was food, beverages, music and dancing. Family and friends walked from house to house to partake of the hospitality and to congratulate the graduate. 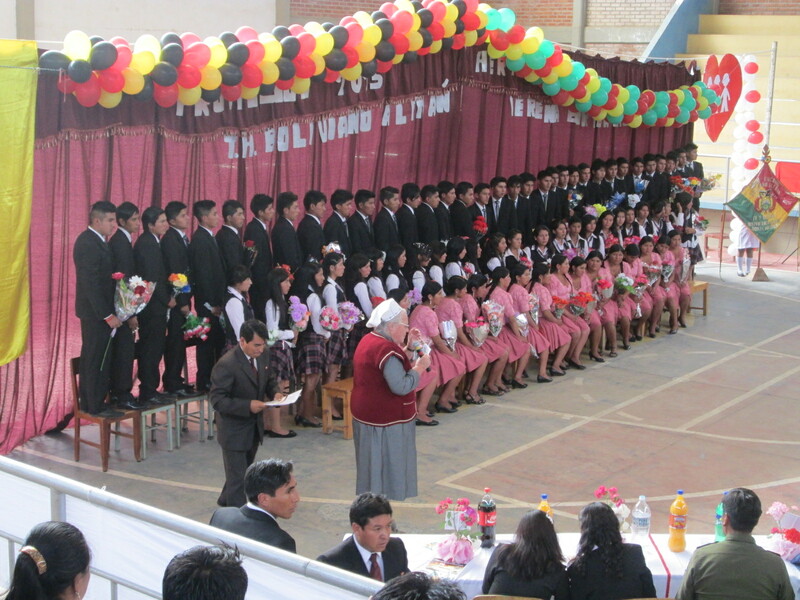 To help the grads move onto the next phase in life the custom in rural areas is to pin a Boliviano (Bs.) bill on their shirt or blouse. PAZA is proud of Reyna Chavez, CdA trainer for the chicas, but sorry to lose her skills and kind attention to the teens. PAZA donated 100 Bs. ($14.40) to pin on Reyna which Dorinda matched with two 50 Bs. bills so that Reyna’s 2 younger sisters could pin them on and offer heartfelt congratulations to their older sis. 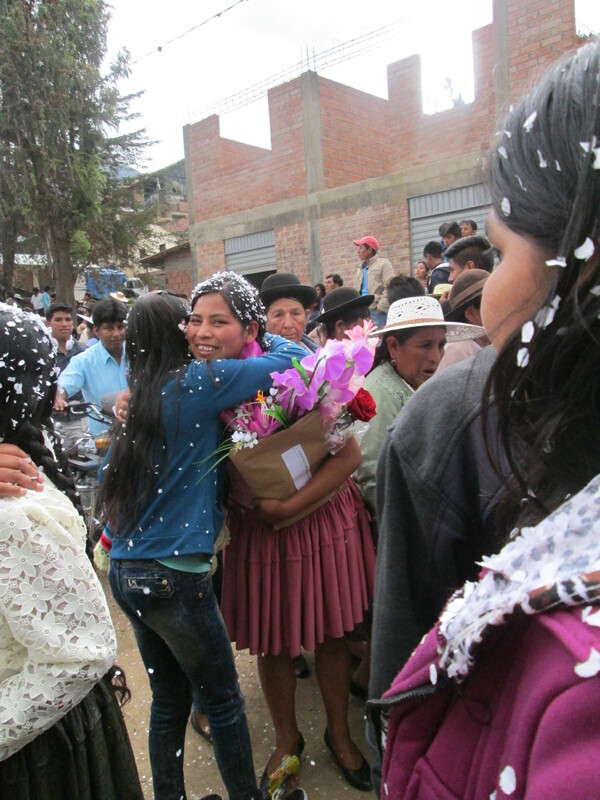 Reyna boarded a bus the next morning with her older sister Noemi to begin a new life in La Paz. PAZA supporters helped Noemi complete 3 years of study at the Institute of Rural Education (IER) where she graduated as a nursing technician in 2013. 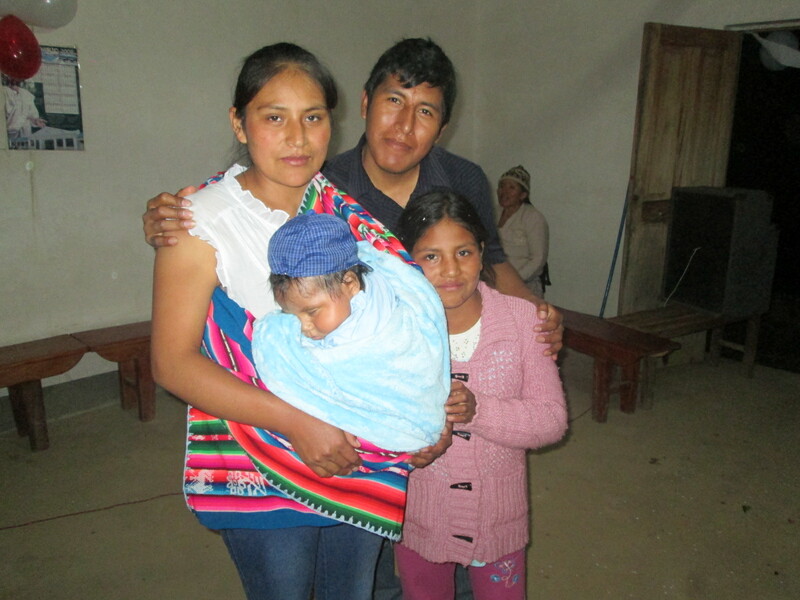 Noemi works at a hospital in La Paz and is in a position to help Reyna explore future study and/or training possibilities so she is ready to enroll in February. Obtaining a high school diploma was not possible in the municipality of Independencia until the late 1990’s. The elite class in Independencia sent their children to the cities. The route to further education or vocational training is a bewildering maze for the first child of rural roots to graduate and migrate to a city. 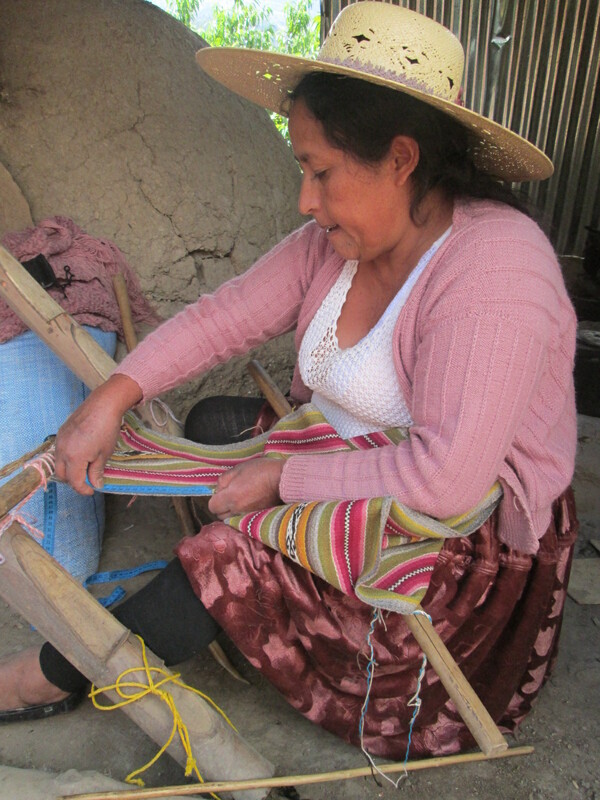 Doña Máxima has been weaving steadily to earn the money to pay for her son´s exams, certification, and graduation from a 3 year accounting program in Cochabamba. He was the first of her 5 children to graduate high school. It has been quite the learning experience for all of the family as they worked together to help him find his way from high school to a year of military service and then into the accounting program. He understands he is responsible to smooth the path for his 2 younger brothers upon their high school graduation. Both of her daughters have lamented over the past week that they wished they had listened to her and graduated. The graduates are living in the moment enjoying the honor of completing high school. There will be a flurry of panicked activity in their families before February when decisions have to be made to enroll in a university, technical institute, or join the military. But, somehow every year all settle in, and families know it will be easier for the younger siblings.